What are DNS records and how they are used. 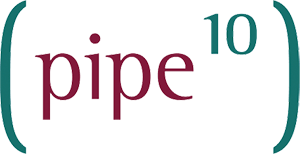 How to managed your DNS records within the Pipe Ten hosting control panel. The default DNS records that are created when a domain is added to the hosting control panel. A unique URL for testing websites without updating any DNS. A list of DNS records that can be managed via the hosting control panel. How to add Microsoft SRV records within the Pipe Ten hosting control panel. Tips for clearing/flushing your DNS cache. How to can make use of SRV Records for SIP services associated with Lync. This guide will explain how to clear your browser cache but first lets explain a little about what the browsers cache is. Sometimes you may have trouble browsing certain websites, displaying your DNS information can be useful for diagnosing DNS issues where an invalid or out of date DNS record might be cached. What DNS/Nameservers to use for domains within your hosting control panel. How to modify your computers host file to view a website without changing the DNS.